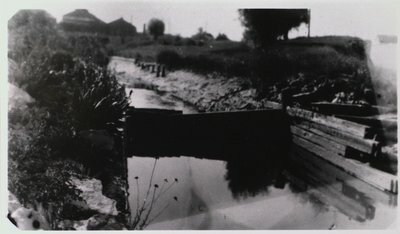 A photograph of a wooden lock from the Old Welland Canal (either first or second) near Hayes Steel. Date Unknown. Hayes Steel was on Oakdale Avenue near Hickory Street.